The last Christmas gift Kane and I received was from my Brother. He sent us a gift card to use at Walmart. In the past, Kane and I received these and just let my parents have them. They would give us cash in exchange and we would be all good. We aren’t really near a Walmart. Seattle is just sort of like that. We have a Target, Ross, Macy’s, another Target and all kinds of other things but not Walmart. The closet one is in Renton. This is not a place I like to go but the lengths we will go to for Legos can be a little crazy. Normally Kane and I don’t go further than SeaTac or in the most extreme, Lynnwood. My parents decided they would take us out to a Walmart. Mapping the trip, we found one in Bellevue. Turned out, that Walmart was just a grocery store. So we went to Renton. Pulling into the parking lot was not as easy as it seems. There were a lot of people going there and all the lanes of the lot were packed with people waiting for other people to pull out of their spots. We parked in the back 40, so to speak, so we could avoid these people. The drivers were all a little crazy. As we got closer to the front of the Walmart, we noticed TWO police cars parked out front with two police officers each. They weren’t there for any particular reason just on duty there. They were parked right outside the front door on the stone landing. All four of us were like… um… what did we just get ourselves into. I’ve been in Walmart plenty of times. When we lived in Montana, Walmart was the only thing open at 2 am but there were big differences between this store and the one in Montana. The part of Renton this Walmart is in can’t be described as either a good or bad neighborhood. Maybe let’s say, it’s on the edge. I was really surprised to see the cops there though. Once we were inside it was apparent we were in a different world. I’ve never been in a Walmart quite like this because it was actually quite small. The shelves were short and everything felt a little dirty. The toy section was only a few isles and looked picked clean from Christmas still. Most of the store looked pretty barren actually. I’ve never seen a Walmart so poorly stocked. Finding the toy section, they didn’t have much of anything but they did have some Teenage Mutant Ninja Turtles sets and Ninjago sets. They had one set for the Lego movies. We were hoping for some LOTR or Hobbit sets so we looked at the Skylanders and My Little Pony items first. They were even thinner. 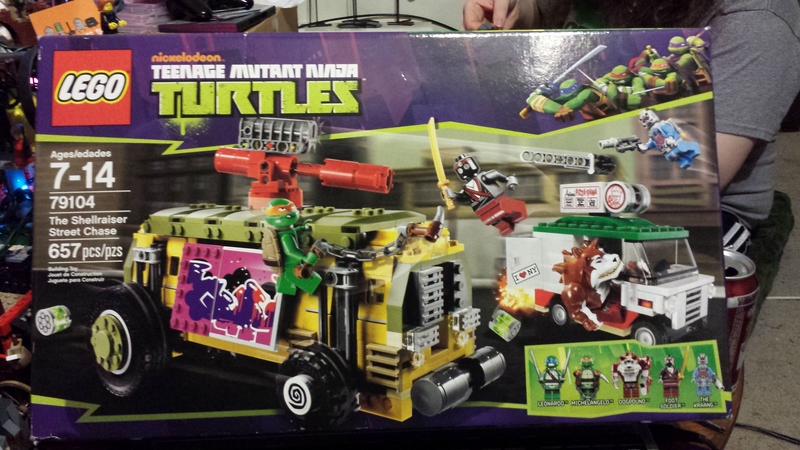 We decided get the two TMNT sets and get out of there. Something about the place put me on edge. The people were all a flurry of activity and the lighting was harsh. The store was a mess and the presence of the police outside made me nervous. We hurried out of the Walmart, went through the Self Check out to make it out faster. We practically ran to the car because people were acting crazy and driving like idiots in the parking lot. 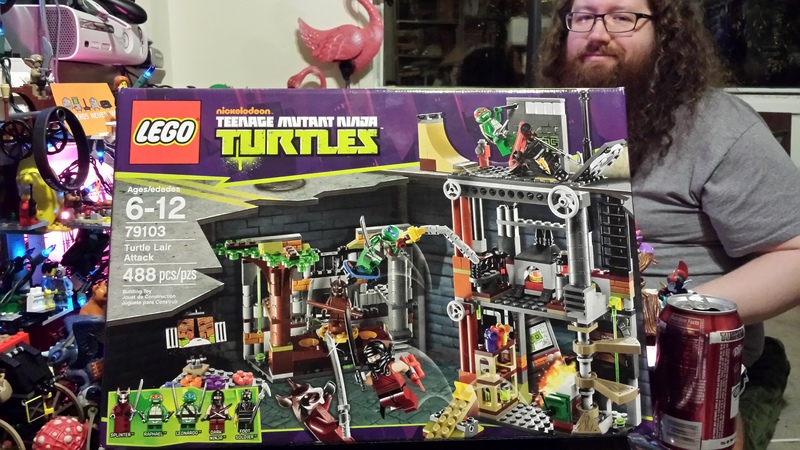 Once we were back in the car it felt much better and I am happy with the two Lego Sets we purchased but man… I hate going to Walmart.